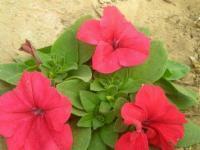 We offer our clients with a qualitative range of Petunia(PetuniaHybrida)Seeds. These petunia seeds are compact and free blooming annuals. It puts an endless display of colors even in higher temperature range (20-30°C). These seeds remain compact in cool growing season. Petunias are one of the best summer flowering annuals for massed display, and they also look good in pots and hanging baskets. The color range is huge, with varieties available in every color except orange. You can expect blooms throughout the summer and into autumn if faded flowers are removed regularly. Unique novelty petunia variety with small star shaped flowers. 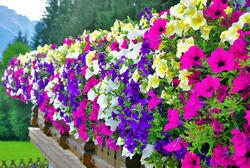 Good for mixed containers and baskets.Height:-30 inches, Spread :20 inches. 250 seeds/packet.